Technology for optimizing power generation, transmission, and consumption. 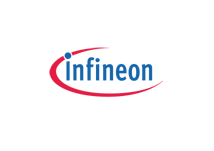 Infineon delivers solutions from microamps to megawatts with superior energy efficiency. Highly reliable IGBTs, Power MOSFETs, Power Discretes, Protected Switches, Drivers, IGBT Modules, Intelligent Power Modules (IPMs), Linear Regulators, Motor Control Solutions, LED Drivers, and all forms of AC/DC, DC/DC, and digital power conversion.